London may not be far from Cambridge but traveling that 63 miles could take longer than you think. 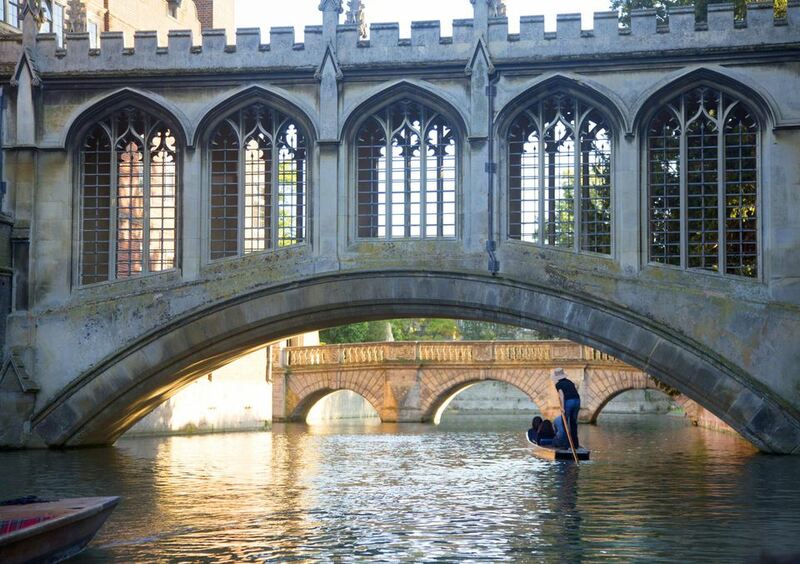 If you are planning to attend the famous Christmas Carol service at Cambridge's King's College Chapel, taking the train is the most sensible way to go. These resources will help you plan a trip that's as fast and as easy as you can make it. Great Northern/Thames Link Railway runs fast trains to Cambridge Station from London King's Cross every few minutes throughout the day. The journey takes between 50 minutes and an hour and a half. There are also hourly trains from London Liverpool Street Station operated by Abellio Greater Anglia. The trip also ranges from about 50 minutes to an hour and 25 minutes. Liverpool Street departures offer the cheapest tickets. The cheapest round-trip fare, purchased in advance as two one-way tickets, was £14 from Liverpool Street (when purchased as two one-way tickets) and £24.60 as an advance purchase return (round trip) ticket from King's Cross (May 2018 price). New services on this route are now also being run from St Pancras International, five minutes from King's Cross and served by the same London Underground station. Many of these services actually involve changing trains at King's Cross and the services cost quite a bit more (the cheapest available service when we checked was £25.40). But, unless you are arriving in London on Eurostar with heavy luggage and planning to leave for Cambridge immediately, it makes more sense to take the trains from King's Cross. The bottom line is, there is frequent train service between London and Cambridge from several Central London mainline stations. UK Travel Tip: Finding the right combination of one-way tickets to arrive at the cheapest fare can sometimes be confusing and time-consuming. You can spend a lot of time trying out different combinations. If you can be flexible about your date and time of travel, it's easier to let National Rail Enquiries do it for you with their cheapest fare finder. National Express operates coaches from London to Cambridge. Tickets (in 2018) cost between £4.70 and £17.50 each way depending on how far in advance you buy your tickets. The more expensive tickets involve changing at Stansted Station so unless you are planning to fly out immediately, take the direct buses for £4.70 each way. National Express now accepts payment by Paypal so it's easy to book a bus ticket from anywhere in the world. The trip takes between 1hr 45min and 2hr 20min ( with a stop at Stansted). Buses leave hourly between Victoria Coach Station in London and Cambridge City Center. UK Travel Tip: Early morning coaches and several journeys through the day make a detour to Stansted Airport, adding both time and cost to the trip. Cambridge is 63 miles northeast of London via the M11 motorway. ideally, it should take about 1hr 45min to drive, but the northeast routes out of London are among the most chaotic and traffic-clogged. Unless you are staying in northeast London, you'd be better off going by train or coach. Keep in mind, too, that gasoline - called petrol in the UK - is sold by the liter (a little more than a quart) and the price is usually more than $1.50 a quart. Touring Tip - If you are thinking about touring East Anglia, Lincolnshire or further north by car, Cambridge is a good jumping off point and a good place to pick up a rental car, away from the pressure of London traffic. Head there by train, spend the day touring this beautiful university town, stay over and start your motor tour fresh the next day.